Sometimes I wonder about whether pirates ever wrote letters home. It’s a hard topic to research, since I have never found an example of a pirate’s letter to a private individual. Some open letters by pirates have been published. We’ll look at those at a later date. What was mail like at about 1700? Very, very different than it is now, that’s for sure. For one thing, right now most of us have a device in our pockets that allows us to speak to nearly anyone on the planet. We can use it to send text messages, to send emails, to send pictures and videos. Communication was very different 300 years ago. The wax was used because of the primitive nature of glue at the time – glue was rare, and glue that worked might destroy the paper it was attached to. Some letters were sewn shut. Here's a video of one way to write and seal a letter. As well as no envelopes, there were also no stamps. (The first postage stamp, called the Penny Black, was introduced in 1840 in Great Britain.) 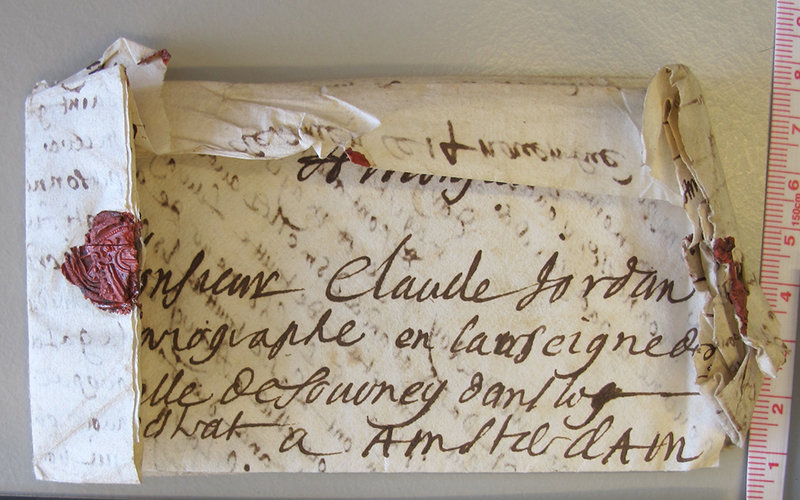 In 1700, the fee to have a letter delivered was paid by the person receiving it. Why? For one thing, the postal system was not well organized. 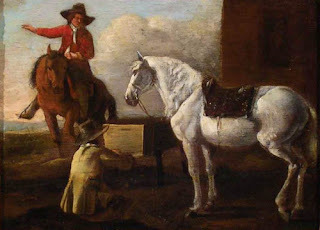 Letters in England were carried by post boys on horseback. Being a post boy was not a career, merely and occupation for a young man with some tolerance for traveling and having adventures. Since these young men were paid when they delivered the letters there was some chance that the young man would show up with the mail. There was no set schedule for deliveries. The post boys rode when there was mail, and went where the mail needed to be taken. No daily deliveries! The original mail service had been set up by Henry VIII, and it relied on a set of post-roads, roads that were maintained by the government. (Few roads were.) These roads were better than most, but were still unpaved. Muddy, meandering, surrounded by robbers, these roads rarely let travelers exceed 3 miles per hour. Post boys, noted by their red jackets, were famous for taking time off to fish, drink beer and flirt with women, or simply take a nap on roadside grass. Postmasters were usually innkeepers, since part of the postmaster’s job was to keep at least three horses on hand for the use of post riders. Postmasters were also the ones who recruited post boys, which may have explained why so many of these riders were lackadaisical in their duties. Being a post master cemented an innkeeper’s place in the community as a source of news and gossip. The limits of actual service were very small as well. Mostly, it was for areas within 100 miles of London. (Mail traveling from London to Bath, 115 miles away, took 3 days by regular post, 2 days express.) Postage within the city limits of London cost a penny in 1660, half a day’s wages for many people. Postage outside the city was a shilling, or a week’s wages. Many letters were never delivered. The red-coated post boys were targeted by robbers, who cut the post bags off the saddle while post boys stopped for a drink. Letters were also sometimes lost or simply abandoned. 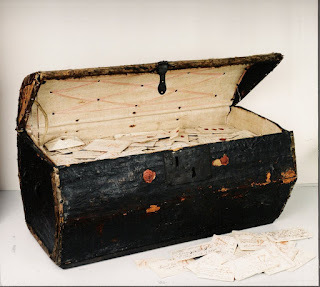 In November of 2015, a trunk full of letters was found in the back of a historic postmaster’s trunk in the Netherlands. Over 2,600 undelivered letters were discovered. Modern academics are not opening the letters – they rely on X-rays to read the contents without disturbing the seals or the aging paper. But the original postmaster does not seem to have been so delicate. Many of the letters were opened. The trunk contained mail from France, Spain, Italy and the Netherlands. 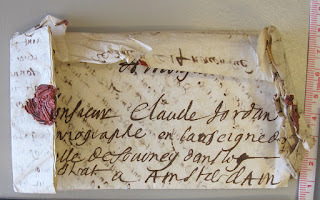 Some of the letters were written in Latin. Mail moved officially between countries on vessels called Packet Ships (a term for any ship carrying an official packet of mail in addition to its other cargo.) During the Golden Age of Piracy, no regular shipping routes were in use, so the shipping of mail was very irregular. Rich people often send mail by private carrier in order to circumvent all this, and poorer folk sent letters along with kind strangers who happened to be traveling in the right direction. 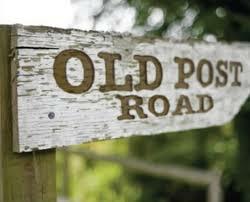 Since post roads were often used by general travelers, (despite the fact that they were bad, they were better than other roads) it would not have been much of a chore to drop a letter off with an innkeeper/postmaster. Then, another traveler might carry it along. Or not. You never quite knew. "Mail traveling from London to Bath, 115 miles away, took 3 days by regular post, 2 days express." And around the world, our postal services are returning to this rate of delivery! Private bills are demanded by the majority of teaching hospitals from MDs that are obtaining residency positions within their preferred medical specialties. This report highlights a number of their very popular oversights that lots of applicants create when drafting their healthcare residency personal statements. applying for pharmacy residency makes me glad about their quality of services. I just want to say I’m new to blogs and seriously loved this website. You really have great stories. Regards for revealing your web site. You talk some shortly. I need turabian annotated bibliography format details. This is really nice of you. If you need personal statement editing services for your book reviews check here. What did a REAL pirate sound like? Pirate Phrases… Real or Hollywood?